These are the new football kits you need to add to your collection this season. Hipster or not. There’s absolutely nothing wrong with being a bit of a football hipster. In fact, we completely applaud any football fan that wants to wear something a little bit different. After all, when so many people are wearing Barcelona and Manchester United shirts, other gorgeous designs are bound to be a little neglected. So, the fact you went out and bought a Peru kit this summer is by no means a bad thing. If you’ve sacked off your local Premier League giant to support a side in the Italian third division, then good for you. It doesn’t even matter if you’ve still got posters of Dimitar Berbatov or Dennis Bergkamp in your bedroom. Sampdoria have always been famous for their gorgeous football kits. To be fair, they wouldn’t be called the “Kit Kings” for no reason, now would they? Their 2018/19 design is certainly no exception, as Joma once again produce a kit that’s oozing class and style. Of course, the famous black, red and white stripes can be found across the front of the shirt, a design choice which has become a staple of Sampdoria football kits down the years. The dark blue colourway is just as crisp and smart as ever, while the striking Blucerchiati badge sits prominently in its traditional diamond shield. 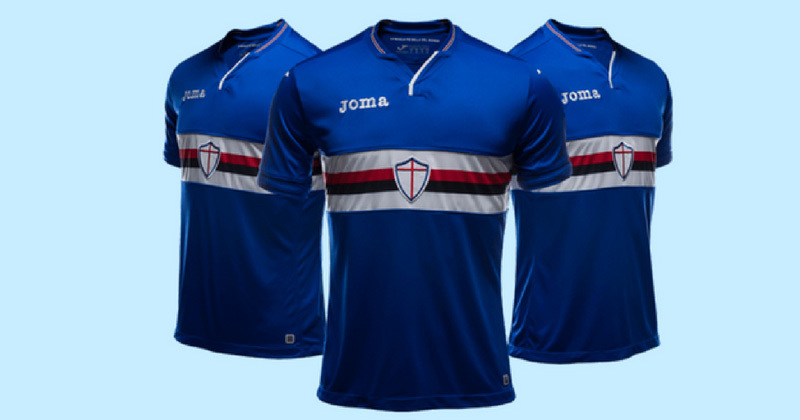 This is undoubtedly one of the coolest kits you’ll find this season; but, if you aren’t too keen on it, then maybe the selection of retro Sampdoria kits might be more up your street. These are so good we literally couldn’t choose between them. The Kaizer Chiefs home kit is submerged in stunning shades of gold and black, with a unique graphic running across the bottom half of the shirt- which is supposed to represent the rise of traditional spears. The club crest and Vodacom sponsor stand out beautifully against the gold colourway, while the black Swoosh matches the small details around the collar. As for the away kit, this incorporates an even bolder purple colourway, with solid black sleeves and lovely gold detailing. Without question, this is a football kit collection unlike any other, and your mates will be desperate to know where you got one from. Stare at it for too long and you might start feeling a little dizzy. Image: news.adidas.com I mean, just look at it. 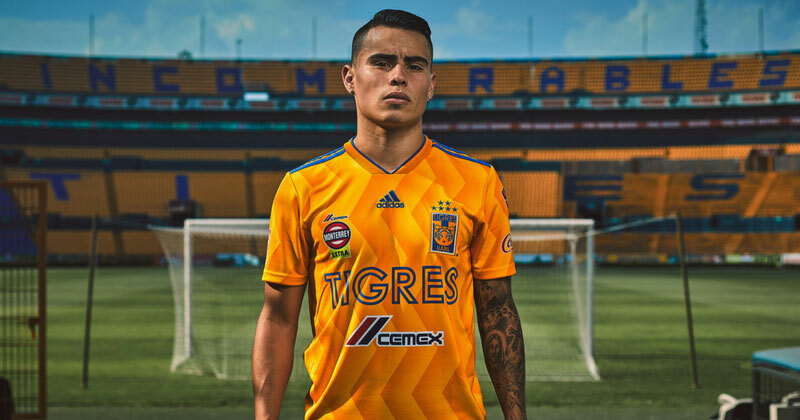 Dazzling in shades of gold and showing off more logos than an off-road rally car, the 2018/19 Tigres home kit is nothing short of fantastic. The gold colourway is brought to life by a clean, crisp graphic which runs all over the shirt, bringing an unmissable retro-vibe which has got us literally foaming at the mouth. As you’ve probably noticed, the club name is stretched across the front of the shirt, alongside an unbelievable collection of logos and crests. We love it. And we know you love it too. All of these football kits are available to purchase right now, while you can also compare prices on them here at FOOTY.COM. Shop with us today to bag the coolest kits at the lowest prices, and get yourself a shirt unlike any other this season. Along with Cristiano Ronaldo, these stunning kits are finally putting Italian football back on the map. Your complete guide to the latest Swoosh designs ahead of the 2018/19 Premier League season.